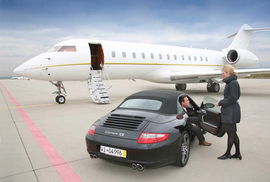 In collaboration with Fraport AG, the Airport Authority, we provide this premium service to VIP customers. Your personal service manager will greet you in the private VIP lounge in Terminal 1, and handle all formalities required for the flight. While you are away, we take care of your car. We will park it safely in our ParkTresor. On request we will also hand wash and clean it, and you will return to a sparkling car that will be waiting for you right next to the VIP lounge. Just book our Call Valet Parking Service at Frankfurt Airport, and hand your car over to safe hands right next to the Fraport VIP lounge. We will park the car in our safe ParkTresor at Terminal 1 at Frankfurt Airport. Our trained staff is familiar with all kinds of cars.